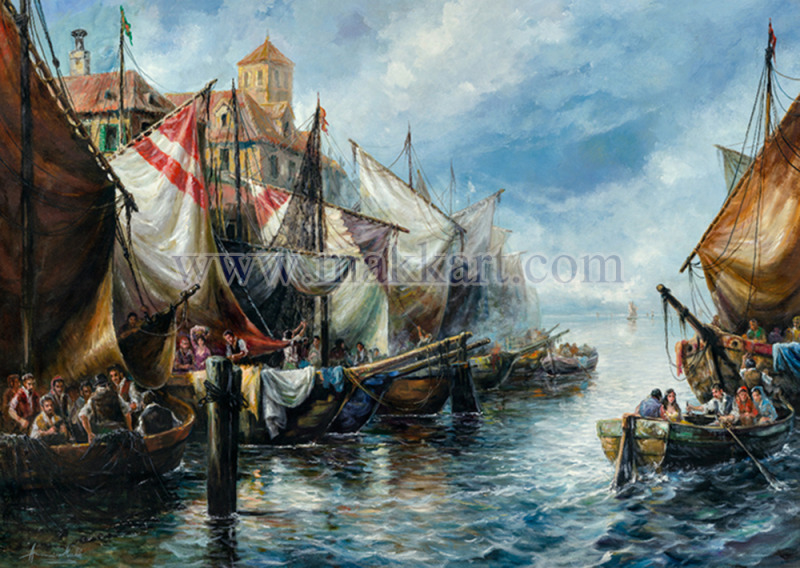 “Port Life” is one of the few large paintings by Americo Makk depicting a Mediterranean port scene. Look at the detail, especially of all the characters/people. The movement of the water can be felt as the reflections of the boats and sails shimmer atop the small waves.